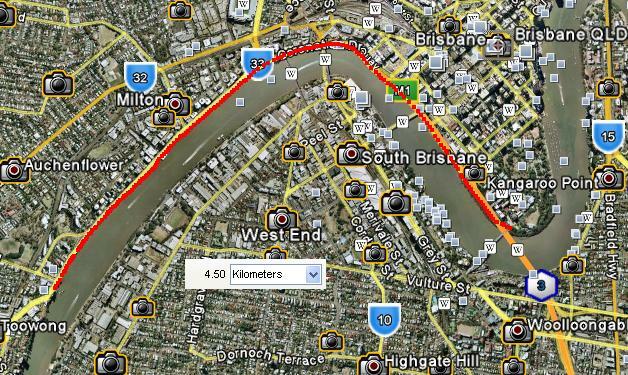 The Bicentennial Bikeway runs all along the river from the CBD along Coronation Drive to Toowong. You can start your run in the Botanical Gardens and then add another 5-10K on the Bikeway. And then choose to run back or relax on the Citycat boats. Watch out for cyclists and especially the "speedzones" - they really do not care slowing down. 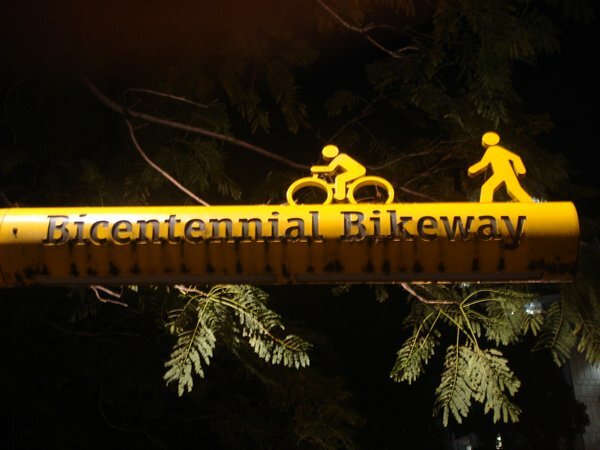 The Bicentennial Bikeway starts in the CBD. You can get off King George Square station and walk down Albert Street. 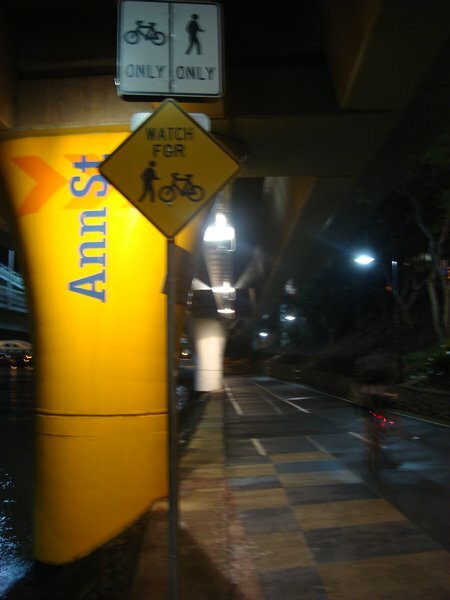 Alternatively, you can get off the ferry at Eagle Street Pier, QUT or North Quay. The track: The total length on the map is about 4.5km, though you can run match farther, virtually unlimited. 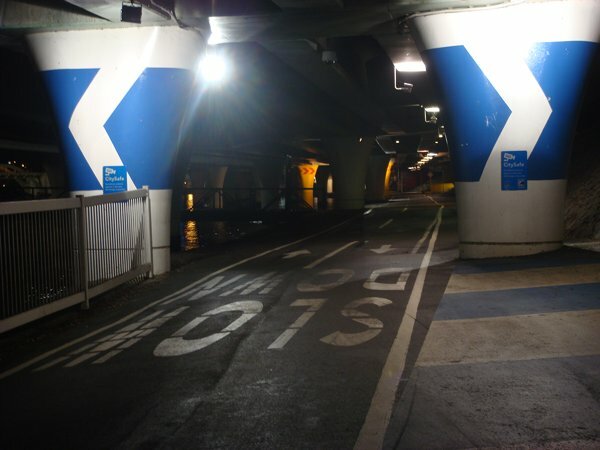 You can start at Goodwill Bridge ... depending where you arrive from. The track is all the way asphalted and flat, just follow the Brisbane river. 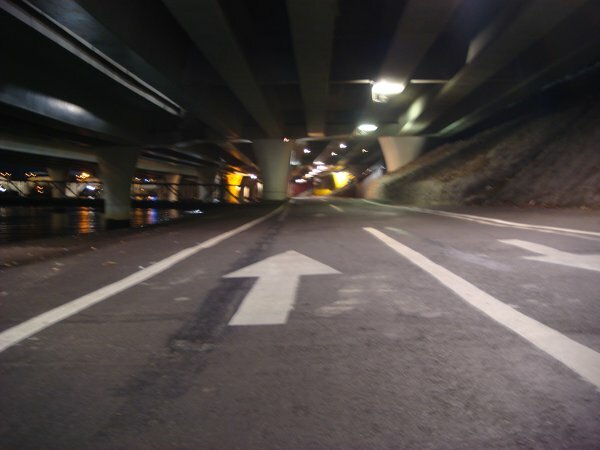 Some portions pass under the highway and are not very nice. Water point: There are some in the Botanical Garden, I didn’t notice any along the river. Good to know: Near the Botanical Garden, there are several opportunities to continue for a long run. You good cross the Goodwill Bridge at continue on the South Bank towards the Cangoroo Point. 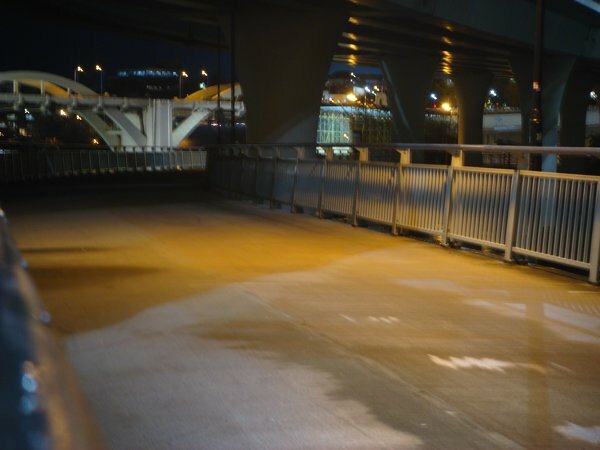 Most of the track is lit at night, though there are some dark zones under the Coronation drive.